The Department of Curriculum and Instruction serves the students, teachers and administrators of the Choctaw Tribal Schools by providing leadership, service, and support in the areas of curriculum and instruction. 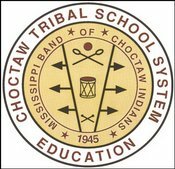 Mission Statement: To implement aligned state standards, research the instructional and learning process, and investigate future education and technological trends to help Choctaw students become successful participants in tribal and global affairs. Promote the use of technology tools that will improve classroom instruction and increase students' motivation to engage in the learning process. Assist teachers/assistants with an improved alignment between curriculum, assessment, and instruction. Guide teachers in reviewing district pacing guides and student performance records. Analyze district/state achievement data to develop instructional activities that are best suited to bilingual learning styles.